Francis Marinangeli passed away June 13, 2017, a day short of his 86th birthday. 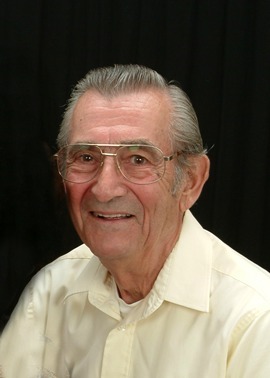 He was born in Peru, Illinois, attended Loyola University in Chicago, was a US Army veteran, a Mesa dentist and enjoyed his retirement – muzzleloading. He is survived by his dog Ozzie, his sons John and Ivan and daughters Phyllis and Kristine, along with 6 grandchildren. Funeral services are pending at National Memorial Cemetery where he will be laid to rest with his wife Daphne. Thank you, Frank, for being our founding partner in Arizona Outdoor Sports, Inc. Your dedication made it possible for thousands of Arizona students to learn about the outdoors and responsible shooting sports. Your efforts helped for AOS shooting athletes to enter competition at Olympic Village every year since inception. Your students in black powder will never forget those lessons. Coaching colleagues will always respect your commitment to youth and family in the outdoors. Sincere sympathy to all the Marinangeli family. Frank was a bright part of my life. He mentored me as treasurer of a group we were in together. He was kind, supportive and loving. I am grateful to have known the man I knew him as. I will miss him. My prayers are with his family and friends. Thank you, Frank, for being the incredible role model and kind person you were to us all! I am proud to say I knew you and grateful for every opportunity we had to chat for hours about life, past and present. I will cherish those memories forever. You were loved and are missed greatly.